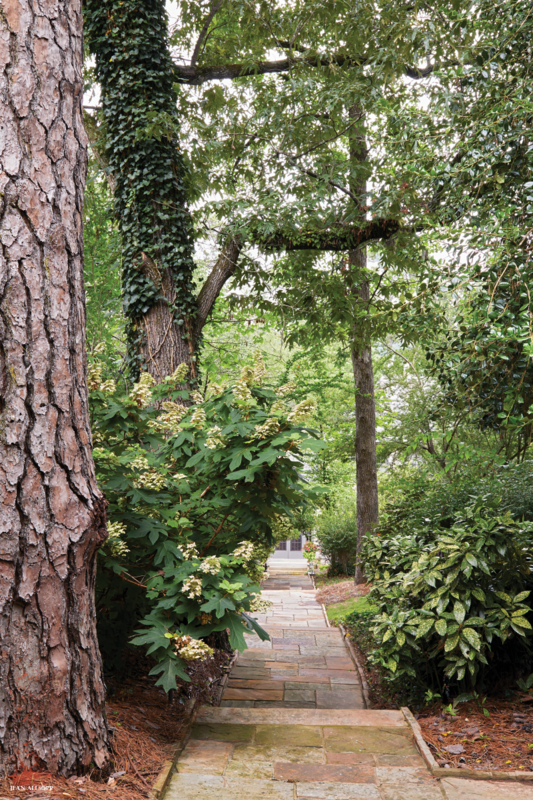 To revitalize the tired landscape, the Robinsons called in landscape designer Rob Garrard, who put a plan together that blends the existing elements with new garden areas—all while creating an overall look reminiscent of an English country garden, a favorite style of the Robinsons. 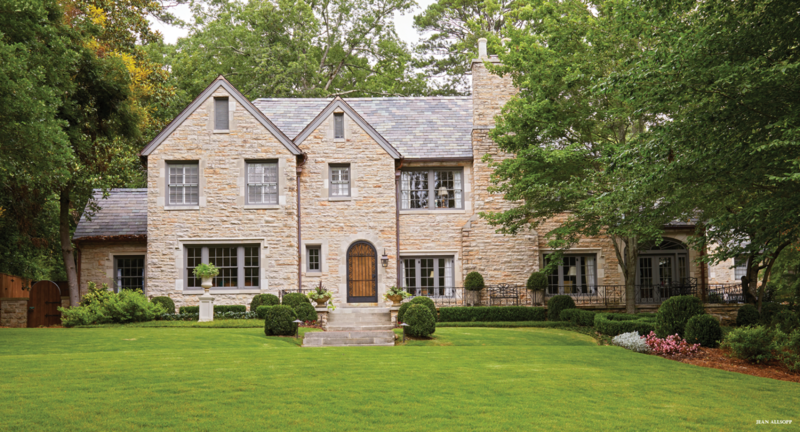 “The architecture of the house is timeless and simplistic, and we wanted to create surroundings to mimic that, ” the designer says. 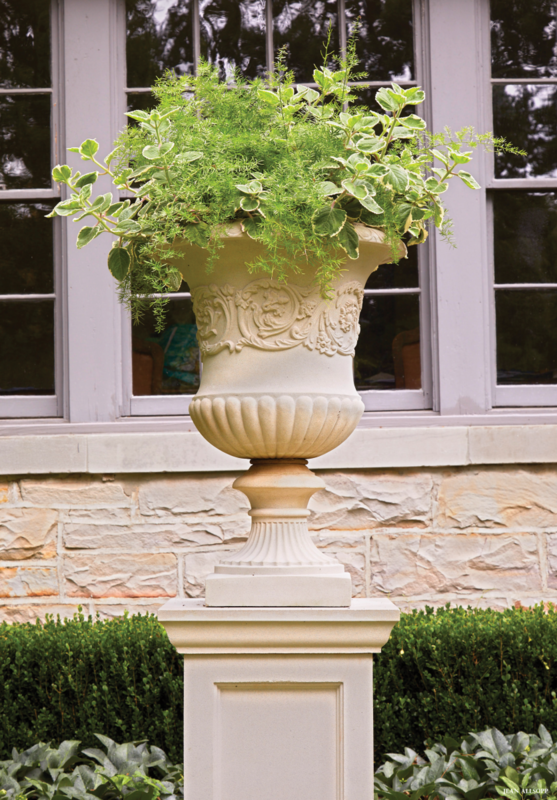 For ornament, the designer added a limestone urn on a pedestal. “The urn is a small detail, but it creates dimension and is a focal point from the dining room window, ” he says. 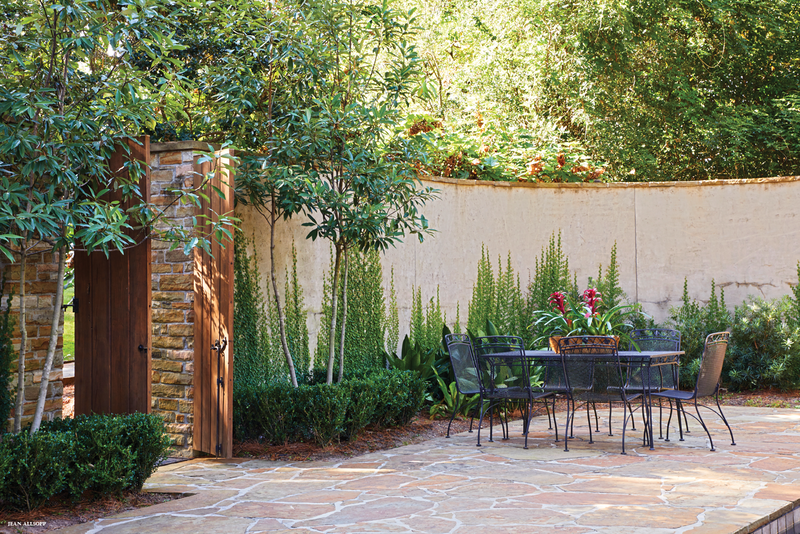 “Rob did an amazing job of working with some of the materials that were already there and adding to them, which created interest and freshened everything up, ” says Leslie. 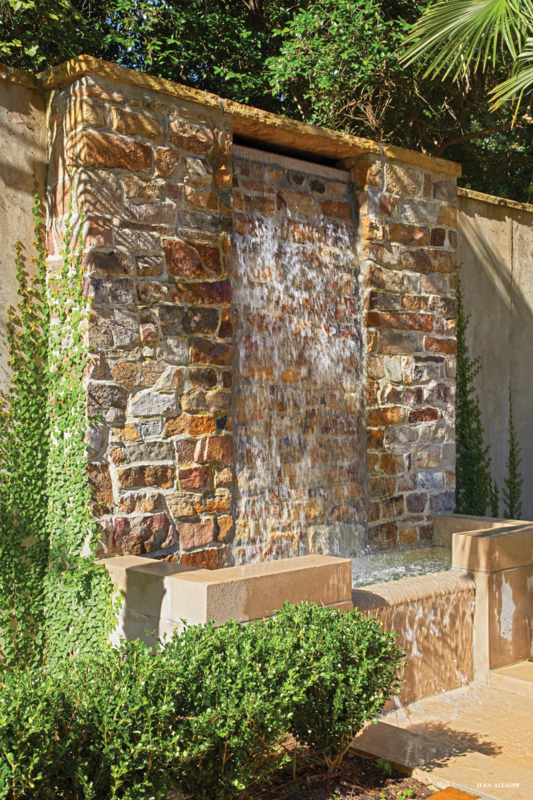 ABOVE Rob added a stacked-stone fountain to the pool deck's koi pond to provide visual and auditory interest. 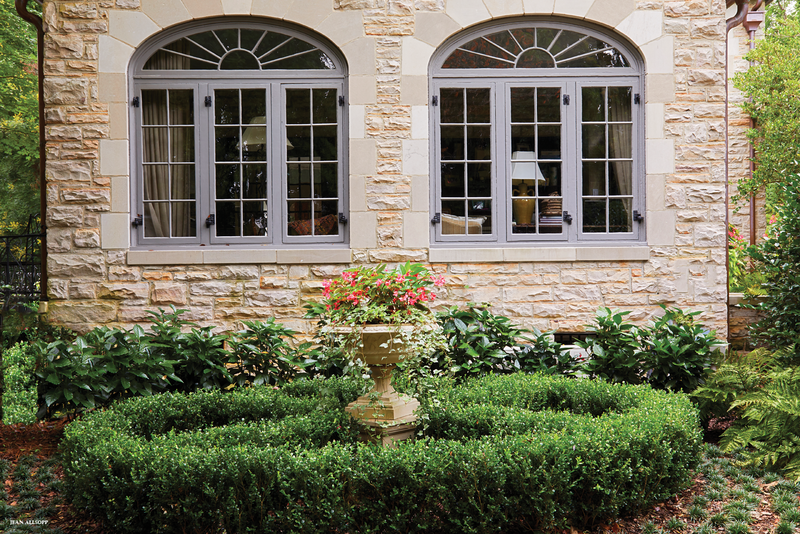 ABOVE Just off the home’s sunroom, the designer added a second wintergreen boxwood parterre and limestone urn filled with variegated ivy and ‘Dragon Wing’ begonia. ABOVE LEFT Steps lined with oakleaf hydrangeas and burford hollies lead from the front of the property to the back garden and pool area. 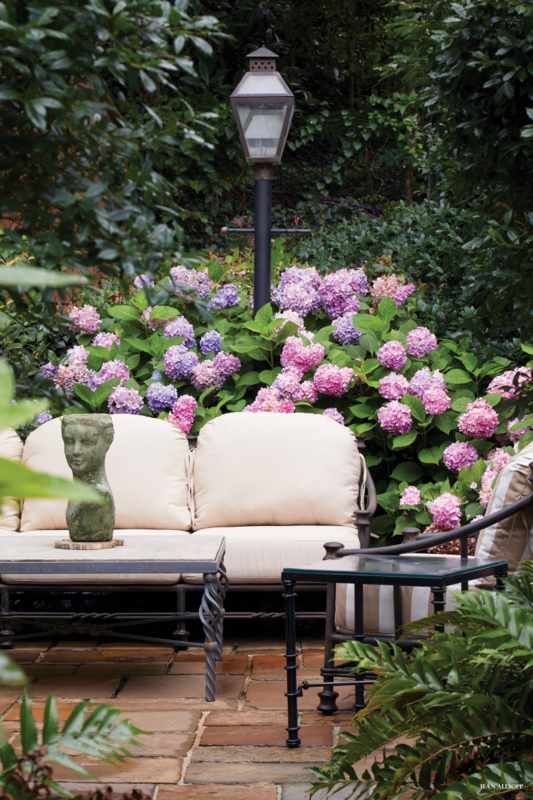 ABOVE RIGHT A secluded patio area just off the kitchen creates a cozy spot to sit among the hydrangeas and enjoy the garden. 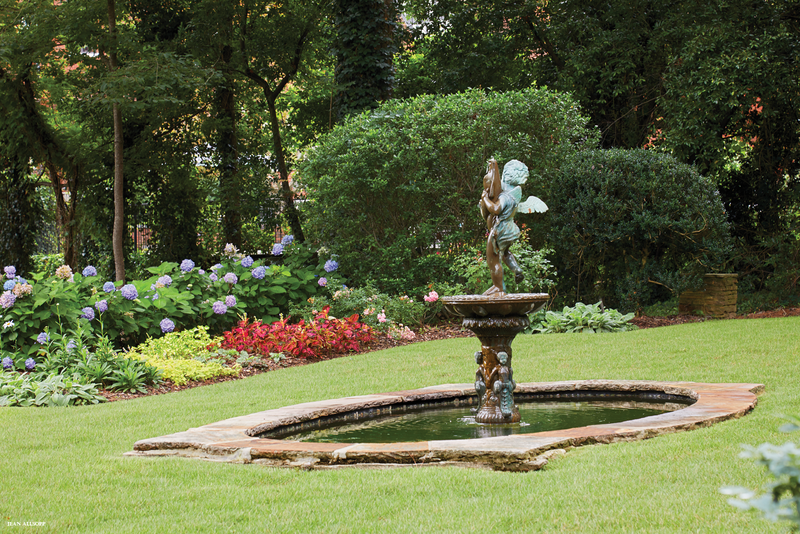 ABOVE A bronze cherub graces the top of the fountain in the fish pond. 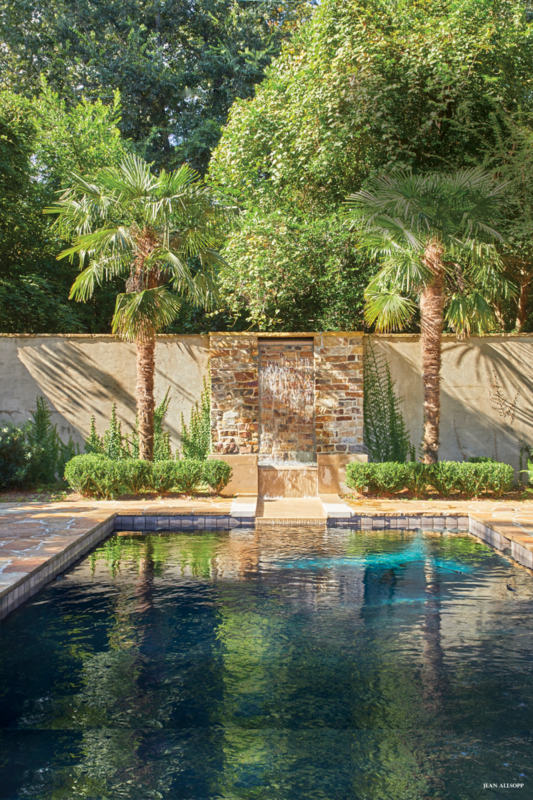 ABOVE Two sweetbay magnolia trees flank the gate to the pool. Fig ivy will soon overtake the walls, turning the pool area into a green cocoon.